There were 45,500 hip-replacement procedures performed in the United States in 2012, according to the American Joint Replacement Registry. That number rose to over 280,000 in 2017. With so many surgeries of this type being performed, one would think that hip replacements are a safe and successful operation for most people. Unfortunately, judging by the number of recalls for artificial hips, like the infamous DePuy ASR XL, this is not the case. To learn more about the complications of total hip arthroplasty–which involves the resurfacing or replacement of the hip joint–let’s take a look at the history of hip implants. The idea of replacing a complex joint, like a hip, is not really new. Before they attempted replacement procedures, doctors either amputated the affected limb or performed “excision,” removing the head and neck of the femur completely. Patients recovered some mobility, but lacked stability. The first recognizable hip replacement was performed by Professor Themistocles Glück in Germany in 1891. The material used to create the ball and socket of the hip in these early attempts was ivory. In 1925, American surgeon Marius Smith-Petersen developed a glass hip joint, which fit over the femoral head to provide a smooth surface for movement. Despite the fact that glass is a biocompatible material, the glass hip was not strong enough to withstand the forces going through the joint, and it shattered. In 1938, London surgeon Phillip Wiles performed the first successful total-hip replacement, using a stainless steel joint that was attached to bone with bolts and screws. The problem with this device was that these screws and bolts tended to come loose over time. The first doctor to use a metal-on-metal prosthesis on a regular basis was an English surgeon named George McKee. Metal-on-metal was the common type of prosthesis used until the mid-1970s, when concerns over metallosis emerged. Metallosis occurs when wear and tear on the metal joint generates metal ions that can cause tissue and organ damage. Metal ions are also a theoretical carcinogen, a cancer-causing substance. The fall of metal-on-metal hip joints gave rise to the popularity of polyethylene-based implants. Metal-on-polyethylene prostheses became the standard in the late 1970s, though there was some concern about them. The primary concern regarding these hybrid prostheses was polyethylene debris, which tends to destroy the bone tissue by the release of cytokines and proteolytic enzymes, ultimately leading to implant failure. Ceramic-on-ceramic hip implants were first introduced by a French surgeon, Pierre Boutin, in 1970. Ceramic-on-ceramic implants became popular in central Europe, eventually accounting for about half of the hip replacements in the region. But, in spite of their Continental popularity, these implants were rarely used in the U.S. and U.K. The benefits of ceramic-on-ceramic bearings are their high level of hardness, scratch resistance, and the inert nature of any debris. 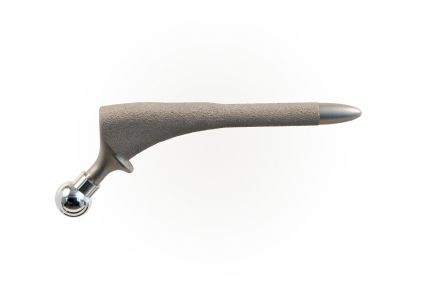 As you can see, hip implant technology is constantly evolving. There is no perfect implant even to this day, and metal-on-metal hip implants are still causing problems for many people. If you, or a loved one, has had hip-replacement surgery and is now experiencing complications, you need to check with your doctor. If your implant failed or has been recalled, or if you have required a revision surgery after your implant, you may be eligible for compensation from the manufacturer. Please contact Bottlinger Law L.L.C. to speak to an experienced Omaha medical product liability attorney. Call (402) 505-8234 to schedule your free consultation. Who Should File a DePuy Pinnacle Lawsuit? Has Xarelto Caused You Harm?